How to Make Sure That Your Child Isn’t Being Cyber-bullied? Home Blogs How to Make Sure That Your Child Isn’t Being Cyber-bullied? Teenagers have been bullying each other around as long as we can remember. Even most adults now have been bullied at some point in their life. But now, with technology in the mix in the form of social media platforms (Facebook, Twitter, Instagram, etc), Texting, IMing, etc bullies no longer have to confront their victim’s face to face. Additionally, as mentioned earlier, we were allowed to come home and escape all of that for a few hours and pretend that everything was okay. 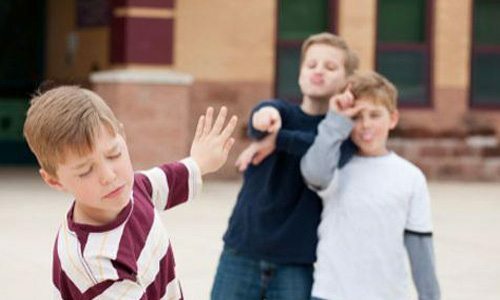 But for the kids now, bullying doesn’t cease since the bully can follow them home via the social media. This new form of bullying takes place using something that we consider a revolutionary technology that has been helping millions across the globe – Cyberspace! Currently being dubbed as ”Cyber-bullying”, this monster is responsible for giving power to even those who do not have the courage to face the one they are tormenting head-on. The internet allows them to stay in the shadows and torture their targets anonymously via cyber-bullying. How to Prevent Cyberbullying with TheOneSpy App? Spy apps may sound like quite a notorious word but the term “spy” is only used here in the most conventional of ways. The word “monitoring” is apter here. It might sound like an invasion of privacy to most but to parents, it is the perfect way to be on the lookout for cyber-bullies who will be bad for the physical and mental well being of their children. Let’s explore in what ways are TheOneSpy monitoring application is helpful. Bugging is a technology which can help you listen in to conversations. You can use this feature to remotely access the microphone and camera of your child’s smartphone and turn it on anytime you want to see where your child is and what is he up to and who is he with. Additionally, bugging also allows you to listen in to calls. Tracking allows you to keep track of your child’s whereabouts. No matter where he is or what he is doing you can check it and make sure that he is where he is supposed to be. 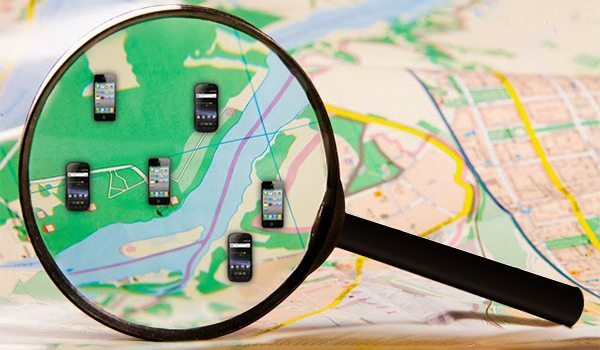 Plus, if your child lost his phone or someone stole it from him, you can always track it using the mobile tracker. It even tells if the SIM card has been changed. Using TheOneSpy software, you can also look into the text messages and call logs of your child’s smartphone. This feature also allows you to know who texts or calls your child the most and who does he texts and calls a lot. Additionally, a good spy software like TheOneSpy will also alert you if a suspicious number called or texted your child. This feature allows you to actually listen to live calls and know for yourself what your child talks about, of he has a suspicious number calling him at the odd hours of day or night. Social Media is the root of all problem related to cyber-bulling. It is up here where the bullies post anonymous comments and posts which can drive most teens to be extreme and commit suicide. They can also pretend to be a person who seemingly cares about them but actually wants to them (as in the case of 13-year-old Megan Meier). TheOneSpy software can allow you to look at your child’s Facebook, WhatsApp and Line messenger and see if he or she is being abused or bullied online. No matter what your child is, a bully or the one being bullied, TOS APP serve to be an excellent way to find out and deal with this problem accordingly. 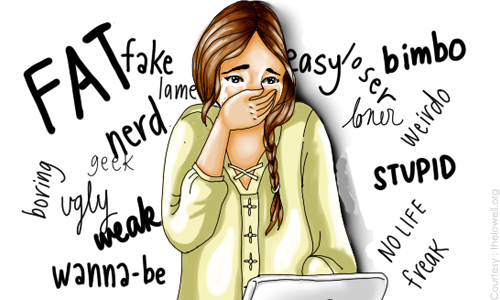 Cyber-bulling is a problem that is not going to go way on its own. We need to work together and work hard to eradicate this problem from our lives as well as the lives of our children. Teenagers have been bullying each other around as long as we can remember. Even most adults now have been bullied at some point in their life.